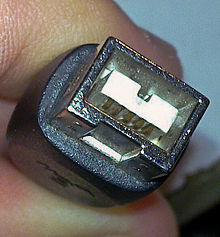 Though the potential for a combined Ethernet and FireWire 8P8C port is intriguing, as of November 2008[update], no products or chipsets include this capability. Steve Jobs declared FireWire dead in 2008. As of 2012[update], there were few S1600 devices released, with a Sony camera being the only notable user. Full support for IEEE 1394a and 1394b is available for Microsoft Windows, FreeBSD, Linux, Apple Mac OS 8.6 through Mac OS 9, macOS, NetBSD, and Haiku. ^ Yaghmour, Karim; Masters, Jon; Ben-Yossef, Gilad; Gerum, Philippe (2008-08-15). Building embedded Linux systems. O'Reilly Media, Inc. p. 70. ISBN 978-0-596-52968-0. Retrieved 2012-01-08. ^ "What Is FireWire?". 1394 Trade Association. Archived from the original on 2014-04-04. ^ a b "IEEE Standard 1394a - Thunderbolt". Retrieved 2016-06-14. ^ a b c "IEEE Standard for a High-Performance Serial Bus". IEEE Std. 1394-2008. 2008-10-21. doi:10.1109/IEEESTD.2008.4659233. ISBN 978-0-7381-5771-9. ^ a b "FireWire — USB Comparison". Usb-ware.com. Retrieved 2010-01-25. ^ "Go External: FireWire 800". Tomshardware.com. Retrieved 2010-01-25. ^ "MPEG LA - 1394 License Agreement". ^ a b "Attachment 1 List of Patents in the 1394 Patent Portfolio" (PDF). ^ "MPEG LA - 1394 Licensors". ^ a b "MPEG LA - 1394 FAQ". ^ "MPEG LA - 1394 License Agreement Express (hardcopy)". ^ "Patent number: US5875313 - PCI bus to IEEE 1394 bus translator employing write pipe-lining and ..."
^ "Patent number: US5937175 - PCI bus to IEEE 1394 bus translator employing pipe-lined read prefetching". ^ "Patent number: 5953511 - PCI bus to IEEE 1394 bus translator". ^ "PATENT NOTICE - National Instruments Software Related Patents". Archived from the original on 2012-04-15. ^ "intitle: "IEEE 1394" - Google Search". ^ "BYLAWS OF THE 1394 TRADE ASSOCIATION". Archived from the original on 2011-11-04. ^ "IEEE 1394 - The Multimedia Bus of The Future". cablelabs.com. Archived from the original on 2011-09-27. ^ a b "IEEE 1394 Architecture" (PDF). I/ONE. Archived from the original (PDF) on 2007-01-07. ^ a b c d "IEEE 1394 (AKA 'FireWire' & 'iLink')" (PDF). Retrieved 2012-09-01. ^ a b c d e "IEEE 1394 and Linux". Tindel.net. Archived from the original on 2012-04-26. Retrieved 2012-09-01. ^ IEEE p1394 Working Group (1996-08-30). IEEE Std 1394-1995 High Performance Serial Bus (PDF). IEEE. doi:10.1109/IEEESTD.1996.81049. ISBN 1-55937-583-3. ^ Davis, Larry. "Firewire Bus". interfacebus.com. Retrieved 2016-06-20. ^ a b "FireWire Developer Note". Developer.apple.com. 2008-04-28. Retrieved 2010-01-25. ^ IEEE p1394a Working Group (2000-06-30). IEEE Std 1394a-2000 High Performance Serial Bus — Amendment 1. IEEE. doi:10.1109/IEEESTD.2000.91614. ISBN 0-7381-1958-X. P1394a Draft 5.0[permanent dead link] available. ^ a b "Encoder/Decoder". Iram.cs.berkeley.edu. 1997-12-17. Retrieved 2012-09-01. ^ a b Haden, Rhys (2007-06-30). "CP3070 Principles of Data Communications". Rhyshaden.com. Retrieved 2012-09-01. ^ "High Performance Serial Bus — Amendment 3". IEEE Std 1394c-2006. 2007-06-08. doi:10.1109/IEEESTD.2006.371044. ISBN 0-7381-5237-4. ^ "1394 Trade Association Announces 3.2 Gigabit per Second Speed for FireWire". 1394 Trade Association. 2007-12-12. Retrieved 2008-08-03. ^ "Fires Up World's First 3.2 Gigabit IEEE 1394b FireWire SOC Solution". DapTechnology. 2009-11-23. Retrieved 2012-09-01. ^ Arthur, Charles (2008-10-17). "Steve Jobs explains why FireWire is dead". Retrieved 2016-06-14. ^ Henehan, Burke (2012-01-06). "FireWire at 4Gbps-Impact on industrial apps". EE Times. Retrieved 2016-06-14. ^ "P1394d - IEEE Standard for a High-Performance Serial Bus - Amendment: IEEE 1394 Single-mode Fiber Fiber Physical Medium (PMD) Specification". IEEE Standards. IEEE. Retrieved 8 October 2012. ^ "IEEE-SA - Standards Board Approvals - March 2013". Retrieved 2016-06-14. ^ Baxter, Les (2007-11-01). "New developments in IEEE 1394 (a.k.a. FireWire)". Lightwave. Retrieved 2007-12-19. ^ "FreeBSD firewire(4) man page". Freebsd.org. 2006-04-01. Retrieved 2010-01-25. ^ "Linux FireWire wiki". Ieee1394.wiki.kernel.org. 2009-08-22. Retrieved 2010-01-25. ^ "Linux Unified Target wiki". linux-iscsi.org. 2012-07-21. Retrieved 2012-08-12. ^ "FireWire 2.2.2 and 2.3.3: Information and Download". Docs.info.apple.com. Retrieved 2010-01-25. ^ "Performance of 1394 devices may decrease after you install Windows XP Service Pack 2". Support.microsoft.com. 2006-06-01. Retrieved 2010-01-25. ^ "Microsoft to support 1394b standard". EETimes.com. Retrieved 2010-01-25. ^ "Notable Changes in Windows Vista Service Pack 1". Technet2.microsoft.com. Archived from the original on 2008-05-17. Retrieved 2010-01-25. ^ "Release Notes for Windows Vista Service Pack 1". Technet2.microsoft.com. Archived from the original on 2008-04-30. Retrieved 2010-01-25. ^ "Hotfixes and Security Updates included in Windows Vista Service Pack 1". Technet2.microsoft.com. Archived from the original on 2008-05-11. Retrieved 2010-01-25. ^ "1394 Bus Driver in Windows 7". Microsoft.com. 2009-06-24. Retrieved 2010-01-25. ^ "Package: libraw1394-8 (1.3.0-4)". Retrieved 2010-09-12. ^ "Juju Migration". Retrieved 2012-10-10. ^ "page 145" (PDF). Archived from the original (PDF) on 2010-05-27. Retrieved 2010-01-25. ^ rcliff. "How-To: Mac OS X Firewire HDTV recording". AVS Forum. Retrieved 2010-01-25. 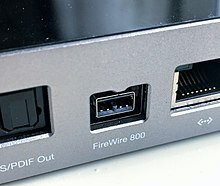 ^ "FCC Douses FireWire Requirement For Set-Tops With IP". Multichannel News. Retrieved 2016-06-14. ^ "firewirevsusb". Directron.com. Archived from the original on 2012-09-04. Retrieved 2012-09-01. ^ "About HANA". Hanaalliance.org. Archived from the original on 2010-01-29. Retrieved 2010-01-25. ^ B.V., Richard Mourn, DAPTechnology. "IEEE-1394 and AS5643 bring deterministic networking to high reliability Mil-Aero designs". Retrieved 2016-06-14. ^ "AS5643: IEEE-1394b Interface Requirements for Military and Aerospace Vehicle Applications - SAE International". Retrieved 2016-06-14. ^ Mourn, Richard (2011-09-07). "UAVs leverage IEEE-1394b data buses for success". EE Times. Retrieved 2016-06-14. ^ "FreeBSD 7.1 fwip(4) man page". Freebsd.org. 2005-07-16. Retrieved 2010-01-25. ^ "Windows Millennium Edition (Me) Support for IP over IEEE 1394 Bus". Support.microsoft.com. 2007-01-27. Retrieved 2012-09-01. ^ "Using IEEE 1394 (FireWire) Devices with Windows XP". Support.microsoft.com. 2007-12-01. Retrieved 2010-01-25. ^ "Discontinued Support for IP over 1394". Microsoft.com. 2004-12-08. Retrieved 2010-01-25. ^ "IP networking over the IEEE 1394 bus is not supported in Windows Vista and in all later versions of Windows". Support.microsoft.com. 2007-11-28. Retrieved 2010-01-25. ^ "New Networking Features in Windows Server 2008, Windows Vista, and Windows 7". Technet.microsoft.com. Retrieved 2010-01-25. ^ "1394 Bus Driver in Windows 7". Microsoft.com. 2009-06-18. Retrieved 2012-09-01. ^ "ubCore 1394 Firewire drivers". Unibrain.com. Retrieved 2012-09-01. ^ "libdc1394: IIDC/DCAM specifications". Damien.douxchamps.net. Retrieved 2010-01-25. ^ "AV/C Overview". Microsoft Developer Network. 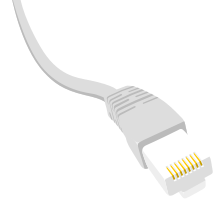 ^ "How to Establish VGA to Firewire Connection". Epiphan.com. Retrieved 2012-09-01. ^ "iPod nano: Charging the battery". Retrieved 2013-09-14. ^ "Tool Physically Hacks Windows — Security/Vulnerabilities — DarkReading". DarkReading. Retrieved 2010-01-25. ^ "Tactical IT Intrusion Portfolio: FINFIREWIRE" (PDF) (PDF). Gamma International. 2011-12-08. Retrieved 2014-04-28. ^ "Blocking the SBP-2 Driver to Reduce 1394 DMA Threats to BitLocker". Microsoft. 2011-03-04. Retrieved 2011-03-15. ^ "Setting Up Kernel-Mode Debugging over a 1394 Cable Manually". docs.microsoft.com. 2017-05-23. Retrieved 2017-09-02. ^ "KD 1394 Work-Around". blogs.msdn.microsoft.com. 2016-08-11. Retrieved 2017-09-02. ^ "Andi Kleen: [ANNOUNCE] firescope for i386/x86-64 released". LKML. 2006-04-04. Retrieved 2010-01-25. ^ "Bernhard Kaindl's fireproxy forwards the gdb remote protocol to FireWire. It allows reading and writing remote memory by gdb". Ieee1394.wiki.kernel.org. 2009-11-07. Retrieved 2010-01-25.